Who does not know Wikilieaks? if you do not know mean people rarely follow the news guys, Right ? With the furor maked sell out a number of important data of an institution or country (including Indonesia lho) already is enough to make WikiLeaks was highlighted a number of observers of the problem of cyber crime. Even to the extent that a head of state had to intervene to give a statement on the data in a sale to the public like hotcakes. And upon this act, the WikiLeaks site was closed, but what happened after closure. ? 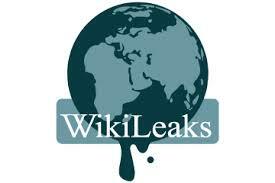 Inevitably more war between supporters and anti Wikileaks WikiLeaks also take place in cyberspace. As a fellow hacker, hacking site WikiLeaks supporters Visa, Martercard, PayPal, and banks in Switzerland. Affairs so long, the problem of online business that I follow, the method of payment is via Pay Pal. This incident at the start day Martercard provider, Visa, and PayPal discontinue their services to WikiLeaks, a bill to make the owner WikiLeaks benenya frenzy. Those concerned about cyber crime stated that this attack method uses a Distributed Denial-of-Service Attack (DDoS) that resulted in this site was flooded with a lot of demand for transactions that make the site drop down. A company Mastercard payment claim has been disrupted service to customers where. Data authentication services (authentication) for online payments, known as Mastercard's SecureCode be fucked ... what a mess ..
What about pay pal ? A spokesman for Pay Pal Osama Bedier, in France. To confess outright termination of service to the WikiLeaks a result of requests from the government of the United States.